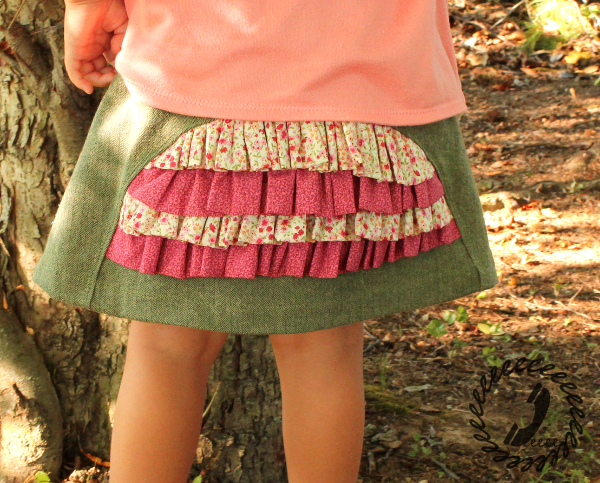 The Ruffled Arch Skirt is available NOW! I’m so excited about this release and through the weekend you can get the pattern exclusively at UpCraft Club*. This post contains affiliate links which means if you click a link then any resulting purchase may put a few cents in Call Ajaire’s pocket at no extra cost to you. The Ruffled Arch Skirt is a flat front, faced, slightly flared skirt with a back elasticated waist. There are two options for the back – plain or ruffled arch. 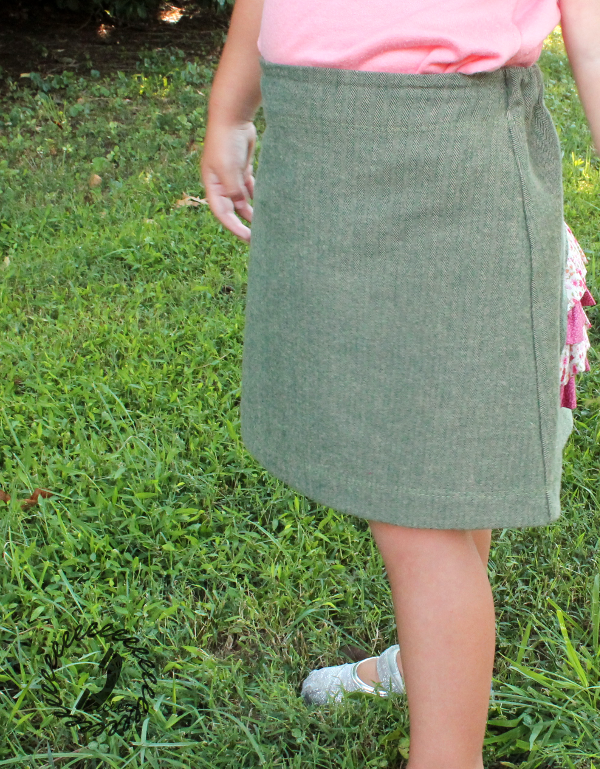 Both skirt options have a back that is more flared than the front which adds a little fun to the shape, while maintaining the clean, classic lines of the flat front. The length is meant to be just above the knee and Bean is wearing a size 5 right now which is a tad long on her for comparison. 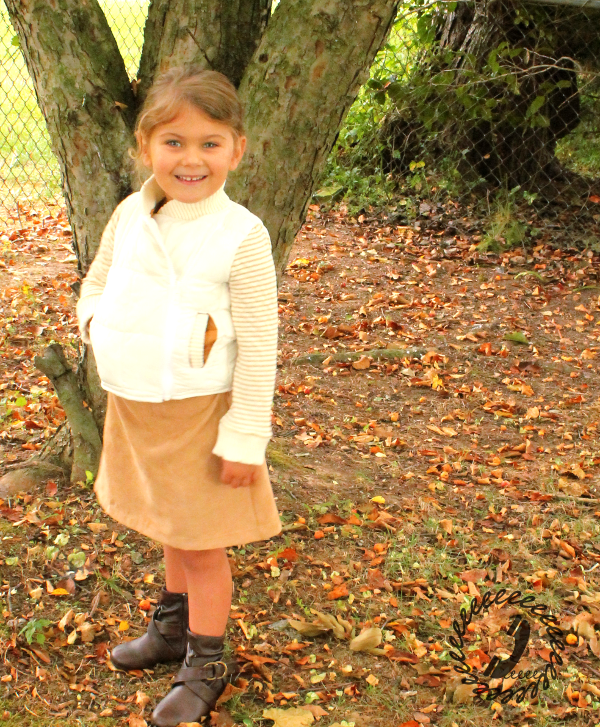 The skirt from the Moto Jacket post is a Ruffled Arch Skirt with a plain back. The fabric is the same suede I used for the lining of the jacket, but with the suede right side out. Bean insisted on not only wearing it all day, but to bed as well that night, so it must be comfy hehe. 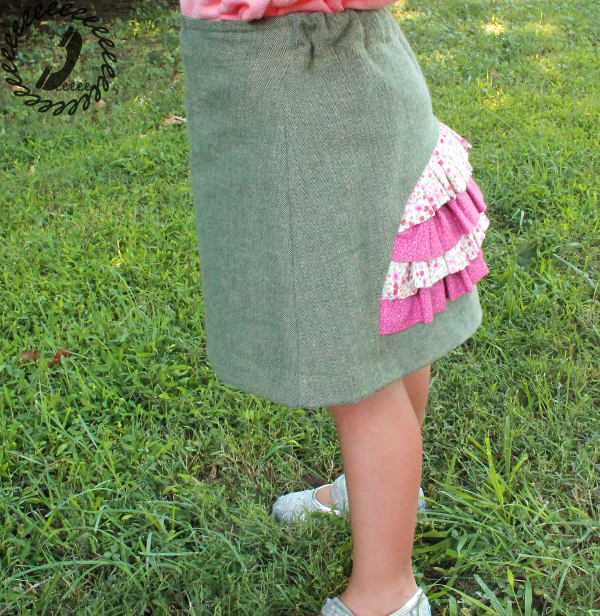 The sizing of the Ruffled Arch Skirt is from newborn through 12 years which combined with being a quick sew and the dramatic effect of the ruffled arch, makes this pattern a great pattern for clothing sales. I do encourage small scale sales of clothing made from my patterns, so I’m thrilled to offer a pattern with a wide size range AND options for sewing something basic to something more elevated. You can pick up the pattern this weekend exclusively through UpCraft Club. Though you don’t have to be a member of the club to purchase the patterns, I recommend signing up. The cost of membership for the month is right about the cost of whichever pattern you choose each month just for being a member so if you’re eyeing any of the patterns or classes available (and more are being added all the time! ), then you have nothing to lose. And with the sale that’s running right now where membership is only $6.95 a month you’re getting a complete steal of a deal!